Godaddy and Bluehost, both are two major hosting providers in the web hosting business. Here is a detailed comparison between Godaddy and Bluehost comparing all their features and factors. Godaddy in general is a very famous domain registrar which also provides web hosting services and similarly Bluehost is basically a web hosting provider. Bluehost is mostly more famous amongst the WordPress community since it is the official recommended hosting for WordPress since 2006. Godaddy provides all round web services ranging from hosting to domain registration and transfer. When comparing the plans and features of two web hosts other factors such as quality of hosting, uptime and transfer speeds must be kept in mind. In this point we will be comparing all the plans and features offered by Godaddy and Bluehost to its customers side by side. Starting with Godaddy, It provides the most basic Starter pack as its base plan which costs around Rs. 99 /mo. This plan provides the customers with one website and 30GB worth of storage. The bandwidth in this plan is unlimited and an extra paid option for site backup and restore is available. In Bluehost’s case users get the base Standard plan for Rs. 209 / mo which is a bit costly when compared to Godaddy’s Starter pack, but this plan provides unlimited disk space with unlimited bandwidth. Users can also host unlimited Email accounts in this plan and this also includes Global Content delivery network for faster speeds. Godaddy has its mid range plan as the Economy plan which costs Rs. 199 /mo and provides one website and 100GB of storage along with unmetered bandwidth.You also get free business Emails for the first year and a free domain if you buy the annual plan. Around this price range Bluehost provides its Business plan which costs Rs 299 /mo and provides up to 3 domains along with unlimited disk space and bandwidth. It also provides unlimited Email accounts and Global CDN. The Deluxe plan of Godaddy costs Rs 309 /mo and provides unlimited websites with unlimited bandwidth and unlimited storage along with free Emails for first year and free domain with annual subscription. This is an ideal plan for regular website owners. Bluehost provides it Pro pack for Rs 399 / mo and gives unlimited disk space and unlimited data transfer and unlimited email accounts and also includes Global CDN. Godaddy also has one last Ultimate plan costing Rs 549 /mo which provides unlimited websites, storage, bandwidth, free emails for one year, free domain with annual plan and a 2X processing power server with premium DNS and 1 year free SSL certification. Here we will compare two websites, one hosted on Godaddy shared hosting and the other one hosted on Bluehost shared hosting. 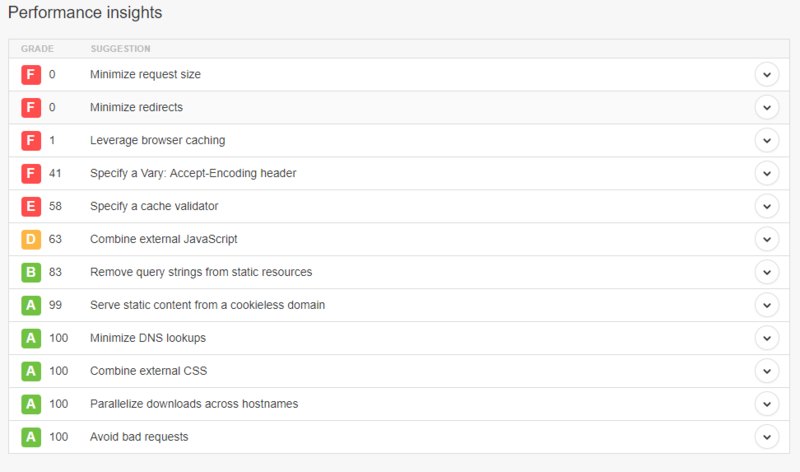 As you can very clearly make out from the given test results that website hosted on Godaddy scored an C+ which is a good score for a shared web hosting service. Whereas website hosted on Bluehost also scored an D+ which can be considered an average performance score for a shared hosting service. Clearly these scores depict that Godaddy has much better performance than Bluehost. 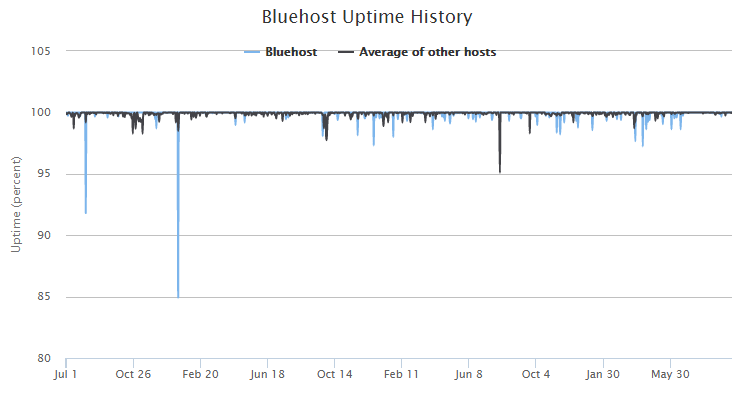 The US server response time for Godaddy is n/a whereas for Bluehost it is 32ms which is pretty much. The maximum time taken by Godaddy is 340ms from the Sao Paulo location whereas as Bluehost took a whopping 842ms on the Singapore server which clearly depicts Godaddy as the winner in this comparison. 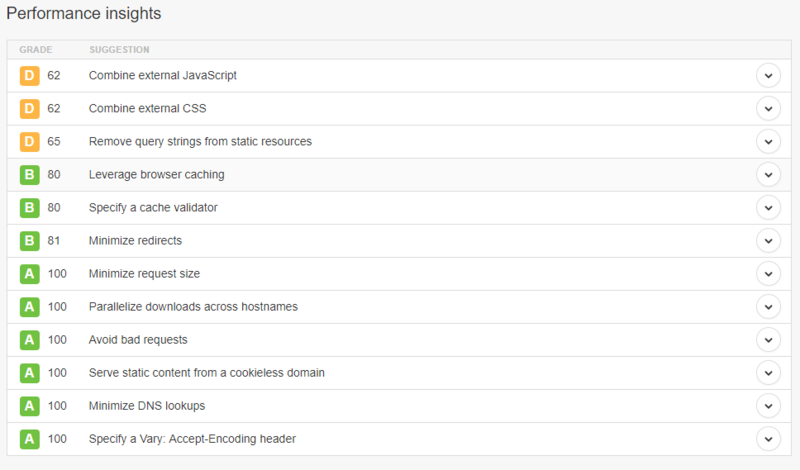 Website speed test yet another major aspect to look for before choosing a web host. The time required by the website to load completely on the users device is of the utmost importance when traffic is to be maximized. Slow servers result in huge loading times resulting in decreased traffic and bad experience for the website users. Here we will be comparing the web page loading speeds of both the websites we used in the performance test earlier to determine the speeds of Godaddy and Bluehost. As the results show there is somewhat marginal speed difference between both the hosts. Godaddy wins here too with performance grade ‘B’ with 86 points whereas Bluehost managed to get only a ‘D’ grade with mere 62 points. Both the hosts were tested on the same server namely located in San Jose, USA. 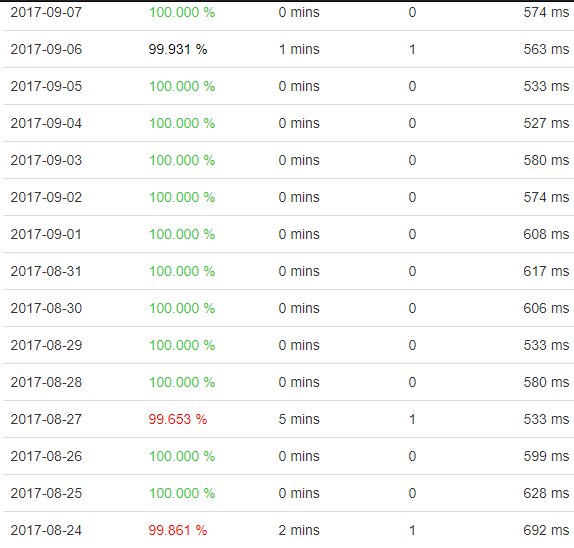 So there are no server sided test faults and so the statistics clearly are in the favour of Godaddy. The TTFB test is just another type of speed test which checks how much time a server takes to process the first byte of data when it is requested by the user. 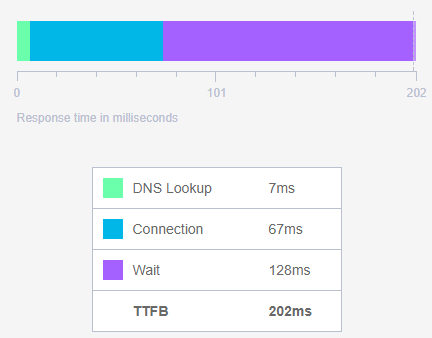 This test looks up the DNS lookup time, connection time and the waiting period after the user had made the request to the server. The smaller is the TTFB time the better and faster is the server. 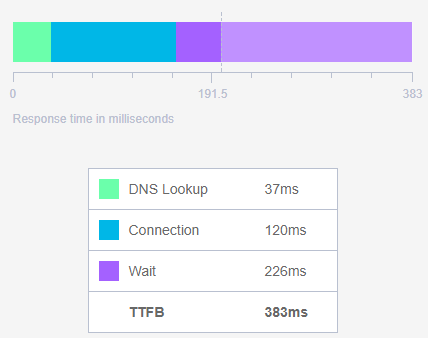 Looking at the test results one can easily say that Godaddy has much smaller TTFB time. Bluehost has TTFB time of 383 ms while Godaddy has it as just mere 202ms which is incredibly fast. So here the winner is clearly Godaddy. No one wants their website to be down when they want it to be online the most. Therefore a good uptime is what is expected from big hosting companies and it is what should be kept in mind when buying a hosting plan. Uptime refers to the total span of time in which the web server is online and functioning properly. Downtime refers to the time when the server is offline or is inoperable due to any reason. 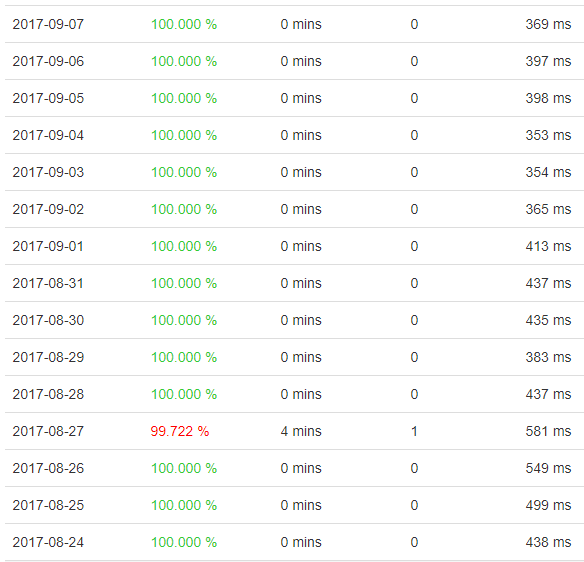 The statistics clearly shows that Godaddy has almost 100% uptime with the only down noticed in the uptime was on 27 August 2017 while Bluehost showed several downs in the uptime mainly on 6 september, 27 August and 24 August 2017. 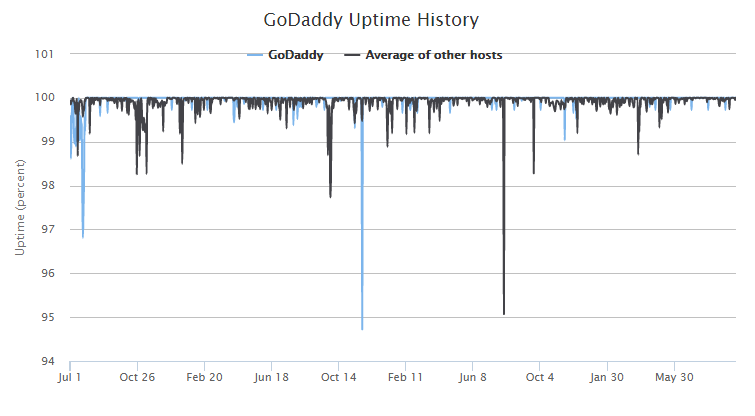 These results prove Godaddy to be a better host in terms of uptime too. The technical part is something else to be looked for, but customer support is also an important aspect that should be kept in mind while choosing a web host. 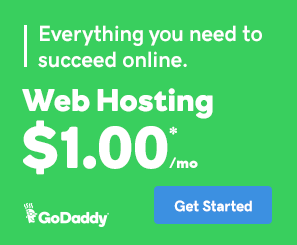 When compared to other hosts such as Bluehost, Godaddy provides a wide variety of options for the customer to get in touch with the customer care. Bluehost provide help and support via their customer care number as well as online chat option.You can also contact them via their social media handles on Twitter, Facebook, Google plus and many more. Godaddy provides a huge array of options to connect to help and support of Godaddy. Along with the traditional call method, Godaddy also provides online chat mode and support over call in regional languages too, which is an exclusive feature of Godaddy. Considering the facts and figures we have mentioned here in this article, we can say that the both the hosts i.e Godaddy and Bluehost are good and can be considered for hosting a website. 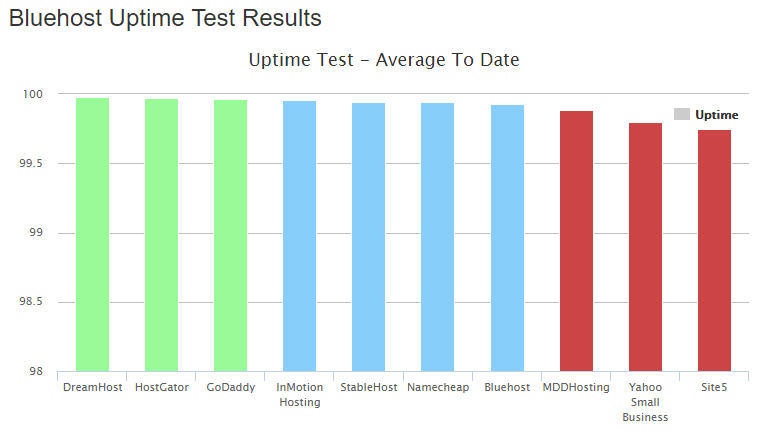 Although Godaddy has a slight edge over Bluehost. 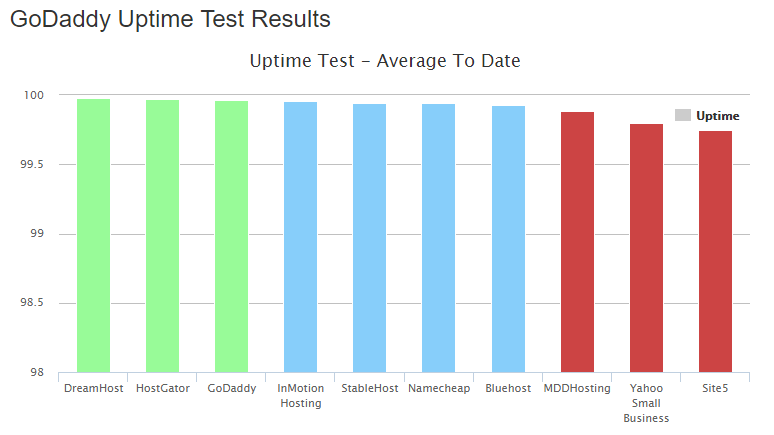 Not only Godaddy pricing is cheaper than Bluehost but the over all performance and uptime is also better. The support in many local languages also makes Godaddy a preferred choice for small businesses and individuals who can not speak the English language.